How Difficult Is It To Accept Credit Cards On Your Website? If you are selling a product or service on your website, you know it is critical to accept credit cards on your website. It can be a little overwhelming to investigate the options for accepting credit cards on your website so this is my attempt to simplify it for you. Feel free to contact me if you have any questions about any of this. There are a few services you need to have in place to accept credit cards on your website and I will first describe them and then give you the best options for setting up the services to start accepting credit cards online. If you’re not interested in how the technical details of how a merchant account works, you can skip down to the Best Options section below. When a credit card payment is originated on a website, it takes place on a secure website using SSL technology to protect the information being transmitted. Any website owner can get SSL security on their website but most smaller merchants use pages hosted by their payment gateway to process the transaction securely. The payment gateway receives the information for the transaction and transmits the info to the payment processor. The payment processor receives the transaction information from the payment gateway and sends the transaction to the card association (Visa, Mastercard, American Express). After the charge is approved or denied, the response will be sent back to the payment gateway so a order confirmation or error can be displayed for the purchaser. All this information is passed in only a few seconds. If the transaction is approved, the issuing bank for the credit card will release funds to the merchant’s listed account. 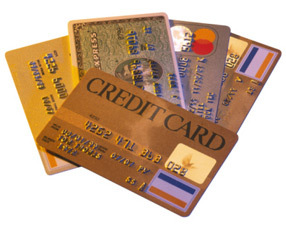 It is overwhelming when you realize all the steps that take place to accept credit card payments on your website. Luckily, there are many companies that offer merchant account solutions for website owners to easily begin receiving credit card payments. You won’t need to worry about payment gateways, payment processors, and credit card issuing banks. Everything will be handled for you after the initial setup is complete and you can concentrate on driving people to your website to generate orders. I have used different processors over the past several years and have determined two very good options that cover the needs of most small and large website owners. I’ll describe them below. Many website owners that are looking for a simple solution to accept credit cards on their website use Paypal. Paypal provides an affordable entry with their Website Payments Standard service. This service has no setup fee and no monthly fee. The downside of the Paypal Website Payments Standard service is that the fees are higher than other merchant account services. The fees for Paypal are currently 2.9% + $0.30 per trasaction. The rate does decrease for higher sales volume accounts. Even though Paypal charges higher fees, the simplicity of getting started using the service along with the fact that there are no startup fees or monthly fees makes Paypal Payments Standard service a great option to start selling online. For those sellers that sell higher monthly volumes and are looking for a more professional and customizable look to the checkout process, Authorize.net is a great option. Authorize.net is one of the most widely used merchant account services on the web. Many large well-known companies use Authorize.net for processing transactions. I have used it myself for years and can attest that the service and technology is very good. One of the main benefits of using Authorize.net is lower transaction fees. The price per transaction will vary depending on your business but can be as low as $0.10 per transaction. Authorize.net allows batch transactions so if you process 20 websites per day on average, you can batch process them at one time at the end of the day to reduce the number of batch transaction charges to one per day. Although you can save money in the long run with lower transaction fees, there is a $99 setup fee and monthly fee for a merchant account through Authorize.net. Even though there are monthly charges for a merchant account through Authorize.net, the savings in transaction fees are well worth it for merchants who sell high volumes monthly. Authorize.net also offers more flexibility over Paypal like the ability to accept E-check payments, use recurring monthly payments, and implement a Shopping Cart system to give more advanced features like coupons, quantity discounts, order followup and more. Sign up for Authorize.net now and start accepting credit cards on your website. You never have a second chance to make a great first impression. Your website is often the first thing that a potential customer sees that represents “you”. And 3 seconds is all they need to decide to go with you, or go somewhere else. Nani Design focuses on those first 3 seconds to catch the viewer’s eye and keep them looking for more, whether it is web design or graphic design. Based in Minnesota, Nani Design has been happy to help clients build their company brand for over 5 years. We understand that in keeping a business running smoothly is a lot of hard work and we gladly tailor our specialty to benefit your busy lifestyle. Distance is not a factor in who we look forward to helping, with clients from Flordia to Arizona, we offer top notch customer service and information to the entire United States. Nani Design specializes in Front-end Web Design & Development, installing / customizing online solutions for E-Commerce, Content Management Systems (CMS), Blogs, and much more. We also provide a wealth of Graphic Design expertise from Print Marketing, Logos, Business Cards, and more. Don’t know where to start? “Contact us today” and we can get you started in the right direction! You won’t have to worry about a thing since we also provide our clients options for Website Hosting, Domain Purchasing, and SSL Installation.